Across the pond, the tweets of President Donald Trump are flowing as usual too, and as a politician always in the limelight for his controversial opinions on all thing climate change, we take a look at some of his most disturbing global warming tweets. It seems Donald Trump is baffled by the fact that weather is a real and ever-changing thing. Who knew? 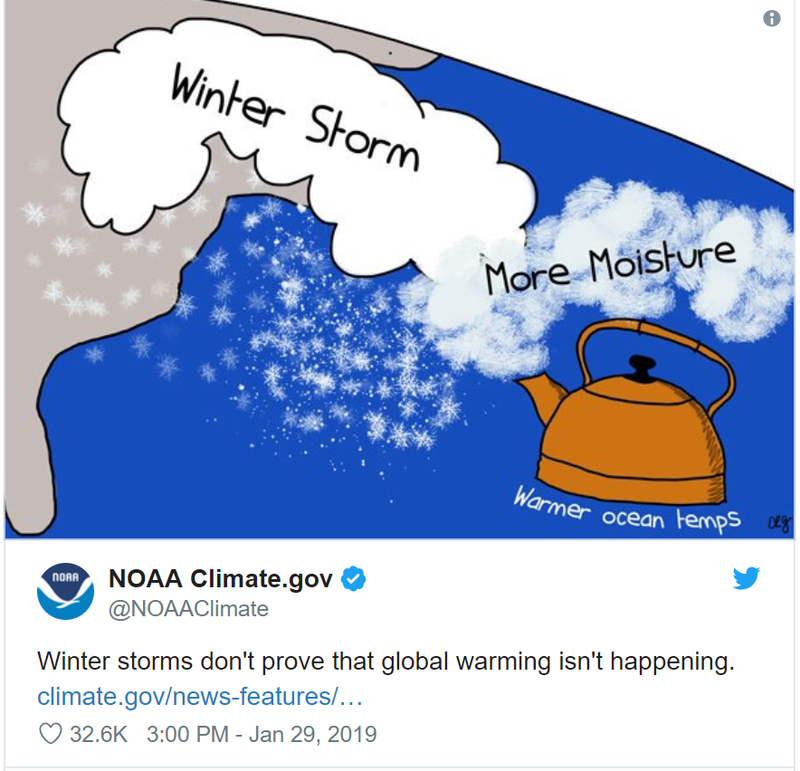 According to climate change experts, climate change can simply be defined as “significant changes in global temperature, precipitation, wind patterns and other measures of climate that occur over several decades or longer.” The National Oceanic and Atmospheric Administration were quick to clap back on this one. 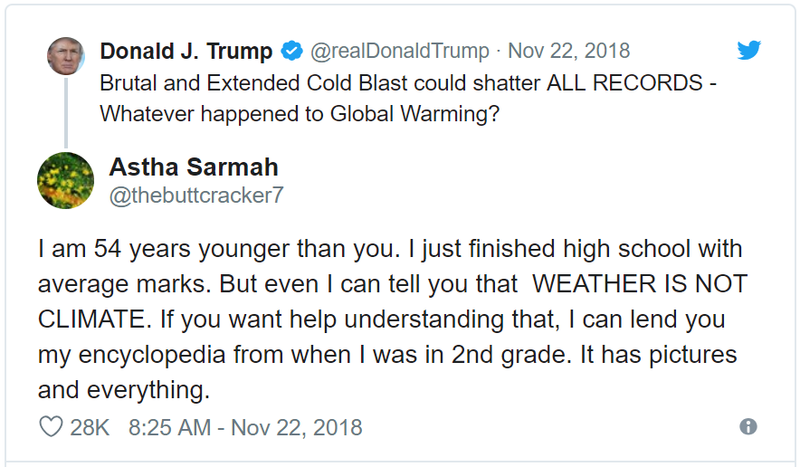 Meanwhile, 18 year old Astha Sarmah was happy to put Trump in his place, subtly suggesting the POTUS brush up on his geography. Here’s to hoping Astha’s encyclopedia written for 7 year olds does the trick. American actress, Mia Farrow also got some stats out to back up Astha. Meawhile, English comedian Rachel Parris took a slightly less sophisticated route…. 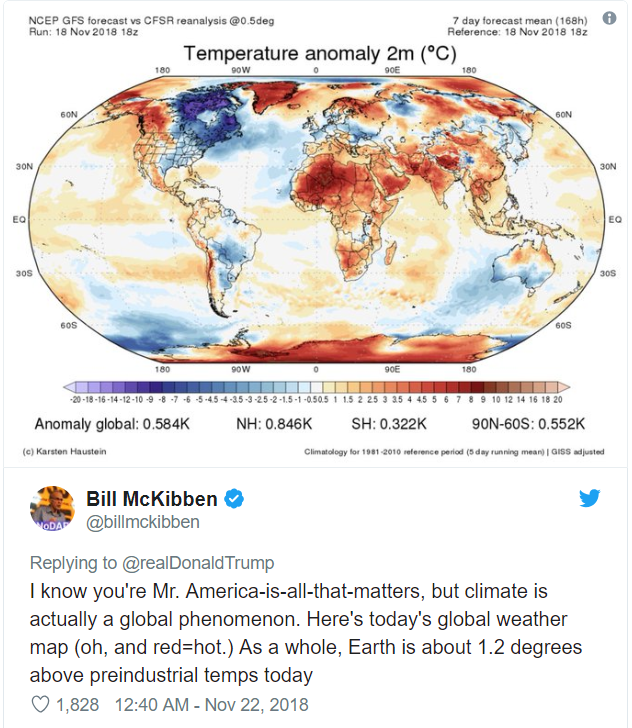 Scientist and Environmentalist Bill McKibben provides us with some real smart-guy information, but bears in mind that his intended reader might not understand such complex graphic , clarifying to President Trump that ‘red = hot’. So there we have it, even one of the most powerful man in the world can’t escape the wrath of Twitter know-it-all’s. In 2017, Trump withdrew the USA from the Paris Climate agreement and has made some changes to policies that could be hugely environmentally detrimental such as, relaxing regulations for newly-built coal-fueled power plants. Whatever your opinion on the 44th President, he is a man true to his word.